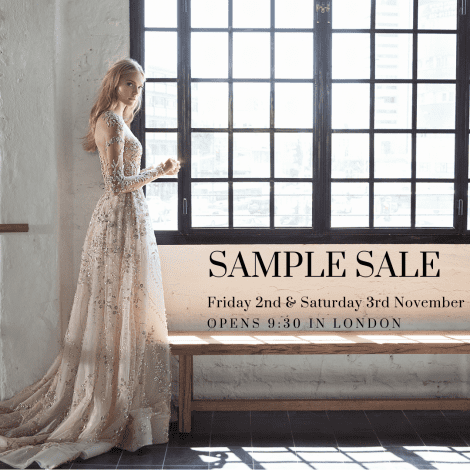 We are having a huge sample sale with many of our beautiful gowns being discounted by 50% or more. There will be many more gowns than are shown on the website with some Hitchin store gowns also being available here in London. The sale will be two days long from Friday 2nd November until Saturday 3rd November in our London store. We will also have a large selection of accessories including veils, headpieces and bolero’s available at a huge discount. No appointment is necessary, just come and see us on the day for a first come, first serve appointment. Please give us a call if you have any questions. We look forward to seeing you on the day. Many dresses starting from £500! !